Just checking in with some hawlage. 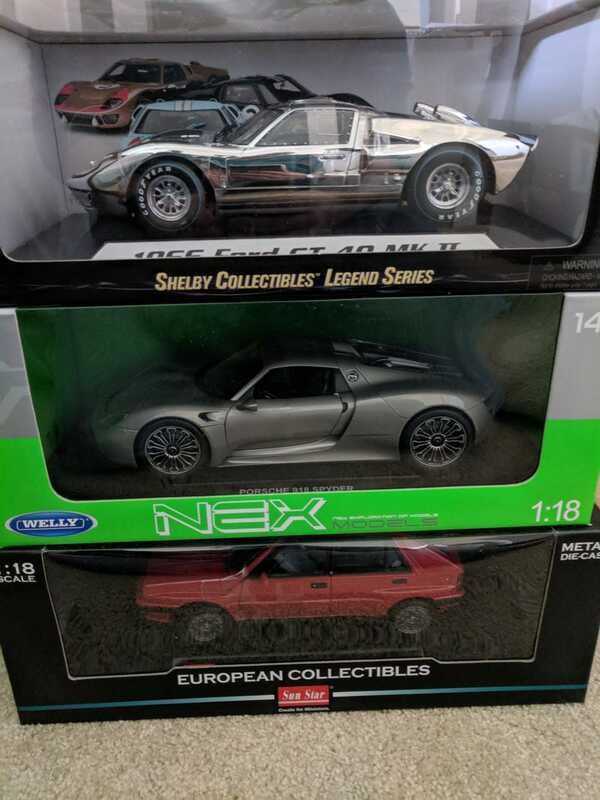 My lovely mother in law got me these three 1:18 beauties: a Lancia Delta Integrale from Sun Star, a Welly Porsche 918, and a GT40 from Shelby Collectibles. The GT40 is definitely the crown jewel. I never had a GT40 in my collection and I finally narrowed it down to a MKII from Shelby Collectibles, but couldn’t decide which livery to get. So why not the limited edition chrome one?